Many today, still sail without a fridge. Why? 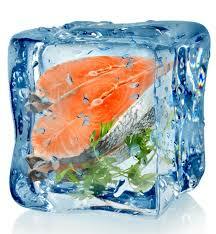 Many manage with out marine refrigeration .... I find it amazing in todays age that not all vessels have a fridge, why and how do they manage? By far the greater number of yacht owners and sailors, especially in the tropics, would want refrigeration and do have it. Reasons sailors have given almost always come back to the draw on energy and minimizing maintenance and expenses. Maybe we can learn from them and plan differently especially if you only have a small refrigeration unit and you’ve wondered how to plan for a long voyage. 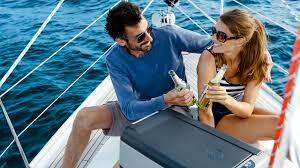 And if you are presently without marine refrigeration exploring both alternatives is always a good thing to do! I can’t imagine many Aussies going without an ice cold beer or other beverage, so maybe it comes down to what climate you sail in and what national culture. 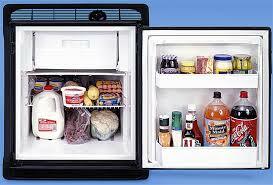 Even if this is not for you.... it can give you more room and storage for your provisions. First of all there are two main foods that absolutely have to be refrigerated, fresh meat and milk but there are alternatives. 1. Milk is easy now aside from powdered and different tined milks we have long life and UHT milk in different varieties, like full cream, skim, soya and rise milk that can be purchased and will last for most long voyages. Check expiry dates when shopping to make sure you have the longest time possible. Fruit juice can also be bought this way too. 2. Meat is a bit more of a challenge. Yes there are tined and processed meats and hams, corned beef, and different sausages, even with marine refrigeration I would take these along as fillers. There is one brand of Chilly with big chunks of meat in it that I enjoy on land and water and I’m sure that everyone would have some favorite tinned soups or stews with big chunks of meat or chicken in them. 3. Fish. And when looking at meat don’t forget the fish, yes you can catch it fresh but if they’re not biting then canned and even vacuum packed seafood come in a large variety, from tuna and salmon then there’s also crabmeat, oysters, kippers and sardines just to name a few. How many ways can you think of to use a can of tuna in one pot cooking? All of these are also good standbys if the weather gets too rough for cooking or catching. If you have a small marine refrigeration unit I would think about using a good sized area for vacuum packed meat, if you like to have a bar-b-que when cruising. A great Aussie tradition and it would be hard to keep the cold beverages out of the remainder of the fridge. Without a fridge vacuum packed meat that has been pre-frozen will keep for a week with a block of ice in an eski or insulated bag. 4. Dairy products like cheeses can be kept unrefrigerated if they are hard and vacuum packed or packaged in wax. 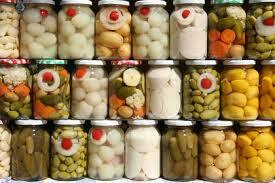 Check the supermarkets for boxed or tinned cheese wrapped in aluminum foil, and jars of marinated feta are really nice. Stock up on caned butter, this keeps for several months but should be used within a few days when opened. 5. Yogurt making kits can be purchased in most countries and can be made with the use of a thermos, yogurt culture and dried milk. 6. Farm fresh eggs are best for everything else that isn’t tinned or boxed from the supermarket. Buy eggs as fresh as possible from a farm or farmers market and turn them regularly to keep them from going bad and they will keep for about 2 months. Fruit and vegetables....the fresher the better when purchasing fruit and veggies, farmers markets are great and found everywhere. Store dry and in a well ventilated crate checking daily for bruised or over ripe and mouldy fruit and vegetables that could spoil others. Fruits that keep the longest are apples and citrus, you can keep them 4 -5 weeks, store separately as citrus can cause over ripening and bruising in apples. Pineapples, mangoes and avocado last about 2 weeks when bought green.Pears and bananas bought green will last about 10 days and other fruit a week or less. Fresh vegetables! Potatoes, onions, garlic and cabbage will keep for about a month removing eyes or sprouts as they appear. Beetroot, tomatoes and cucumbers last 2 – 4 weeks. Zucchini, green peppers and carrots last about 2 weeks and everything else less than a week. 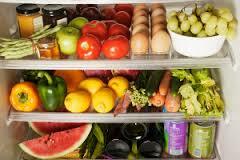 So although fresh is best if you have no marine refrigeration and you’re going on extended cruising don’t forget to supplement fresh fruit and veggies with canned and dried products. All the other ‘stuff’ like condiments and spreads how do they keep? Try getting small containers as they last longer and don’t spoil as easily. Things like salad dressings, vinegar, oil, sauces, relishes and mayonnaise can keep several months. Jams, peanut butter, honey and the like once opened keep for up to 4 weeks. And if you are making your own bread yeast doesn’t keep once opened so buy small individual packages. Few ocean or coastal voyages last more than a couple of weeks so with careful planning and shopping you can still cruise with no marine refrigeration, or free up space if it is too small to store much produce. Without marine refrigeration care has to be taken when provisioning the galley!